Here's an album I've had for awhile - bought it back when I first started listening to my favorite local radio station, KAAM, when their catch phrase was "The Music of Your Life". At that time, it was mostly "big bands and great singers", and they still play a lot of that, but they also include more recent songs that fit into that particular format. Anyway, I vaguely remember Dinah Shore's TV program from the 1970s. I don't think I ever watched it, but I remember it was on. Most of all I remember that she was dating Burt Reynolds in the 70s - it was kind of a big deal because he was 20 years younger. And of course, there's the famous Dinah Shore Weekend now - lots of women and lots of golf. Well, these are all familiar songs and Dinah sings them wonderfully. I think I bought this at HPB, and it was pretty scratched up. There aren't any skips, but there are still clicks and pops, even after I cleaned it up as best I could. If anyone has a cleaner version of this, please do share. 3. I Can Dream, Can't I? 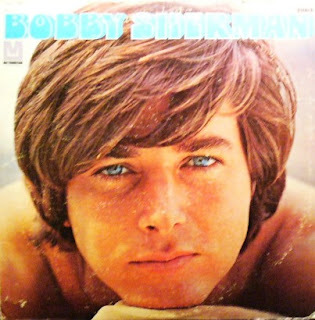 I've been in a Bobby Sherman mood lately so I thought I'd post his self-titled album. To put it simply, I love him. So easy to listen to, smooth and peppy songs that you can sing along with, easy on the eyes (Bobby, that is), just fun music. Now, I didn't buy his records back in the day - I didn't become "aware" of songs on the radio, teen heart throbs, and the like until David Cassidy was the thing (my true love). Bobby was still popular, but he was "older" and didn't appeal to this 8-year-old girl as much as David did. I never watched "Here Come the Brides" (don't even remember the show), but I did watch his later TV show, "Getting Together". It wasn't until I became an adult and heard "Hey, Little Woman" on an oldies station that I really started listening to Bobby and fell in love with him. I've bought all his albums from Half-Price Books, and they're all in really great shape. (Oh, I bought the Christmas album at an antique & vintage stuff store.) Then when his autobiography came out and he did the book tour, he came to DFW and I went to see him. I even got him to sign one of my albums and my Bobby Sherman lunch box! He is such a nice man - and still a cutie! So, I hope this brings back some great memories. This was my holy grail of record albums for a long time. I searched and searched for it at garage sales, used record stores, flea markets, and the internet forever. I had never seen it in person, only seen it advertised in the teen magazines from back in the day (1970 to be exact). I remember that I wanted the album when I was a kid, but forgot about it until I bought an old teen magazine on eBay many years back, and it had an advertisement for this record. That's when I became obsessed with finding it and adding it to my celebrity vocals collection. Finally, about two years ago or so, I saw it listed on eBay - sealed (you can still see the shrink wrap in the picture)! I bid on it and kept increasing my max bid limit, thinking long and hard as to how much I wanted to spend on this album (sealed!). I think I finally decided that I would pay up to $100 for it. Thank goodness, I won it and for a lot less than $100 - whew! But, to date, I think it is one of the top five most expensive records that I've bought. Of course, I wasn't about to leave it sealed. The main reason I wanted it was so that I could listen to it and enjoy it! I even invited some friends over to listen to it. I've always loved Kurt Russell and this album is a great example of the bubble-gum music that was popular in the late 60s and early 70s. One of the songs on this album, "Sugar Sugar", which was made famous by the Archies, has also appeared on one of the Ultra Lounge CDs. Most of the other songs will also sound familiar. All in all, it's a fun album! Here's an album I bought back when I was doing the ballroom dance thing. 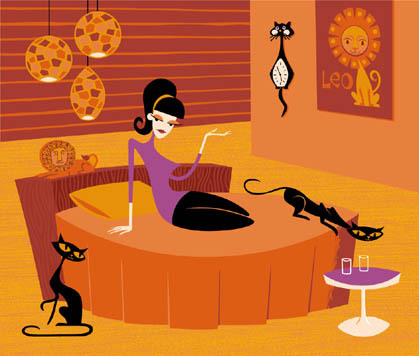 It's a great record for latin dances - cha cha cha, rumba, samba, tango, merengue. I used to make party tapes (cassettes) for our weekly dance parties at the dance studio and I remember I always included songs from my Edmundo Ros albums (I have three other of his albums which I'll get around to posting). 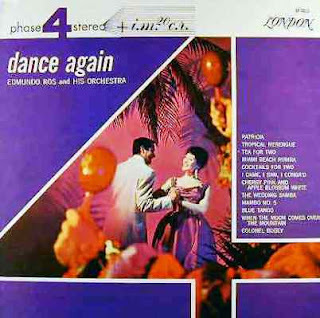 If you've ever taken ballroom dance lessons at a Fred Astaire or Arthur Murray studio, then you'll love dancing to this album, because the beat of the songs is perfect to the way the dances are taught at those studios. Well, yesterday was the anniversary of when "Star Trek" (the original series) first aired on NBC - September 8, 1966 to be exact. 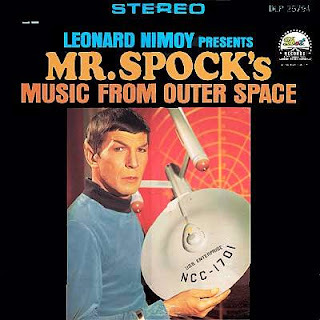 In honor of that day, I am posting Leonard Nimoy's first album. I know this album has made the rounds many times before, but I decided to go ahead and share mine since I already had it digitized (it was one of the first ones I digitized, being the Star Trek fanatic that I am). You can find Leonard's four other albums on this blog, too, by clicking on one of the labels. Mr.Spock holds a special place in my heart - that was also the name of one of my dearly departed kitties (gone two years now). But I did have the pleasure of meeting Leonard Nimoy at a Star Trek convention several years ago (he signed my copy of "I Am Spock"! ), and I was able to snap several photos of him. Also, back in college, we had this huge computer printout (remember the dot matrix printers?) of Mr.Spock posted on the wall of the computer science department office. I think that's what made me decide to major in computer science. It was the logical thing to do. 1. Theme from "Star Trek"
Hey, everybody! I'm back from a little vacation - went to visit family and friends in my hometown (Brownsville, Texas), and then had a cousin visiting me for a week. It was a great time! Hope y'all are having a great Labor Day holiday weekend. 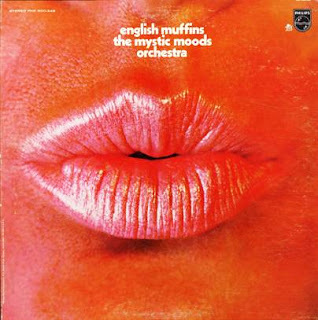 To add some fun to your holiday, I thought I'd share this album by the Mystic Moods Orchestra. I have to admit that the main reason I bought this album was for the cover - awesome! But the music is nice, too - very soothing and great to listen to when you're trying to relax. One of the main attractions of the Mystic Moods Orchestra was the sound effects, and that's definitely something I like. I hope you like it, too!